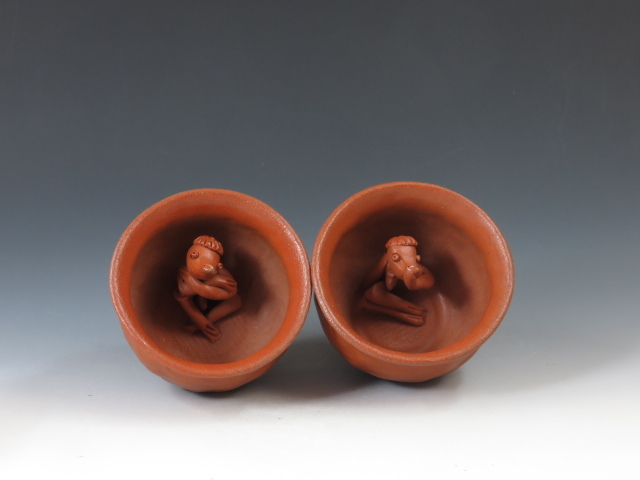 A pair of his-and-hers sake cups with Japanese imaginary creature “Kappa” on inside prospect ! ! A modern-looking sake cup with a cross-shaped foot ! 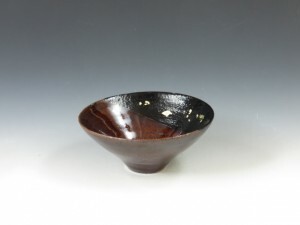 A beautiful sake cup uniquely applied with japan lacquer over Ame (amber) glaze and gold powders ! 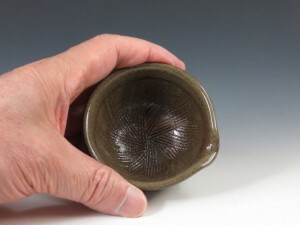 A neatly shaved sake cup in Oribe style ! 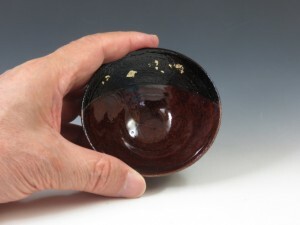 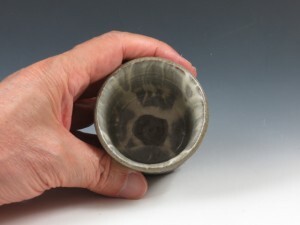 An unique sake cup with “Jomon Zogan Somon” (or straw-rope patterned and inlaid grass-patterned) on persimmon rust glazed body ! 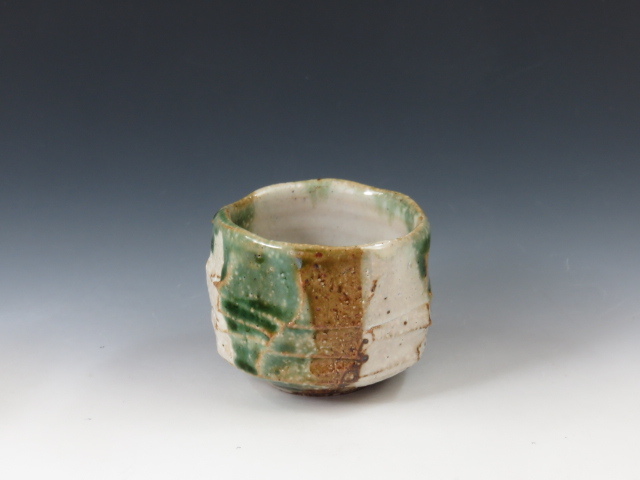 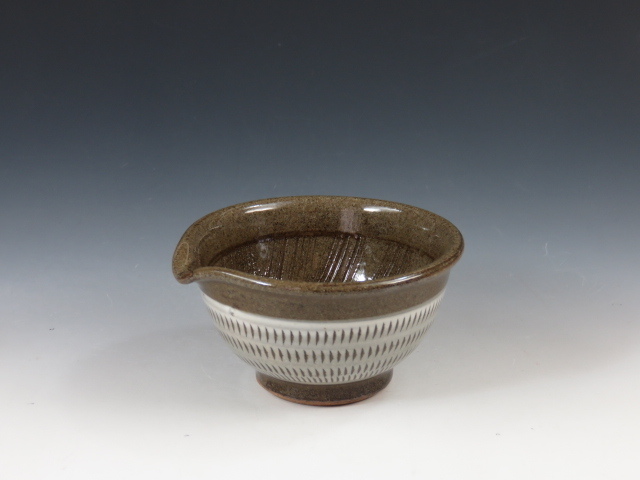 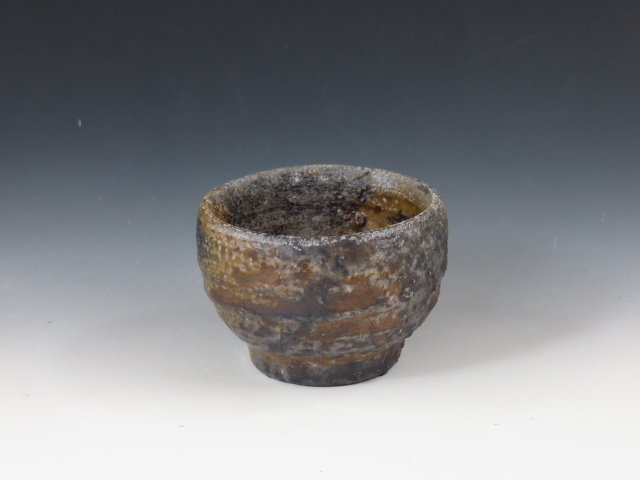 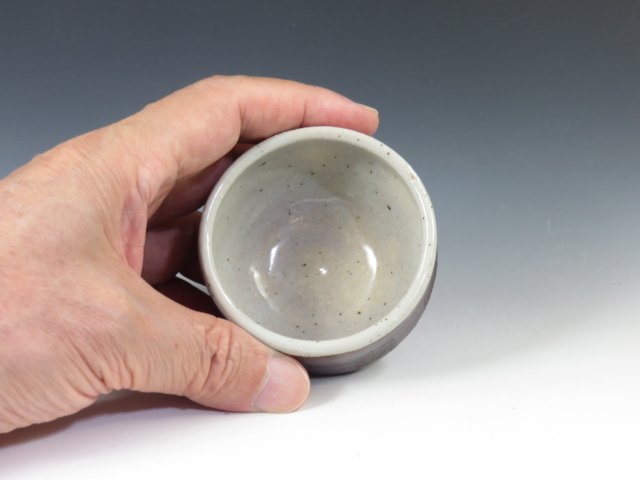 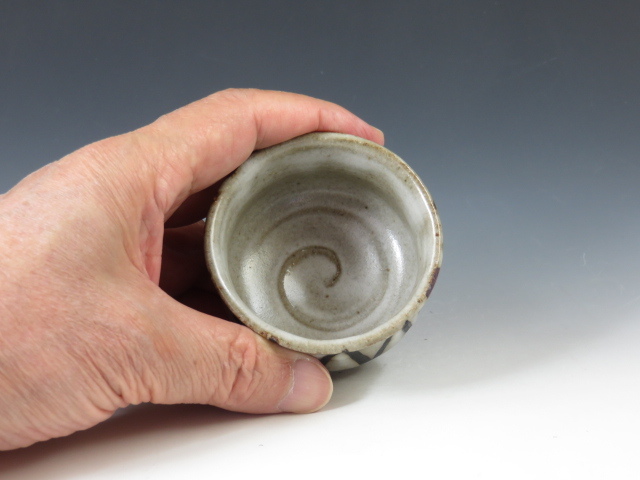 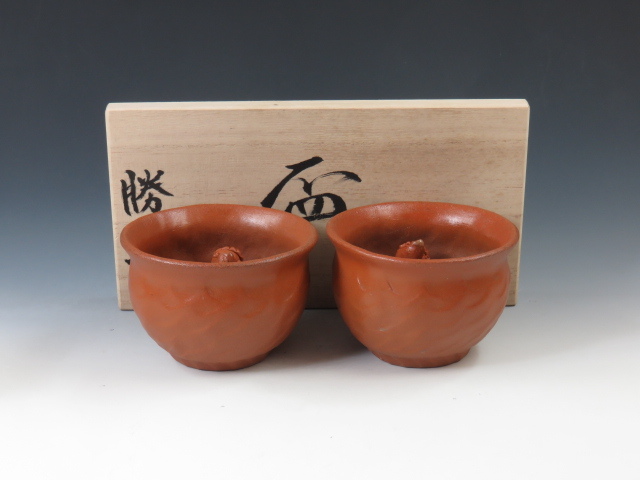 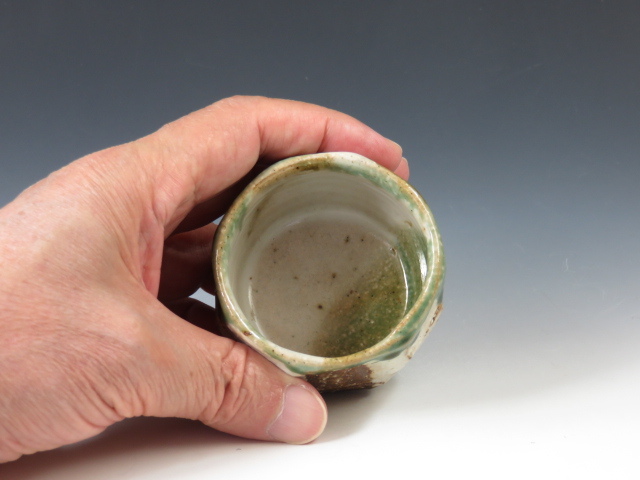 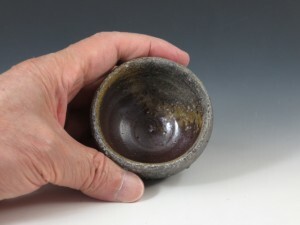 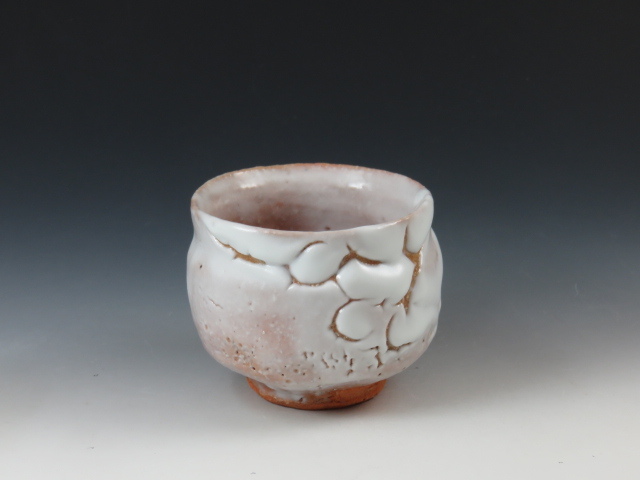 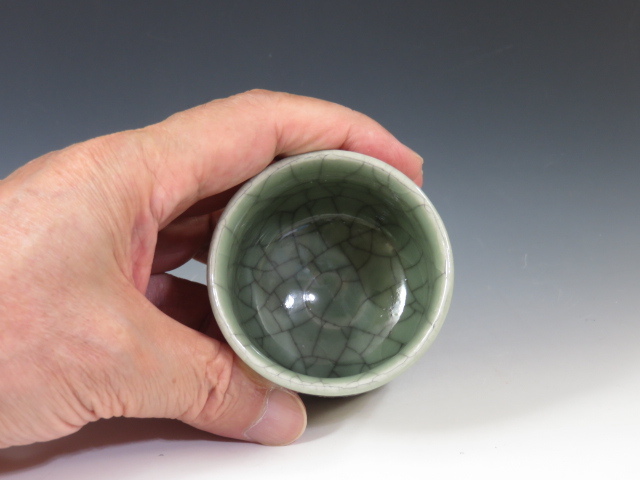 An unglazed Bizen sake cup with mighty feeling ! 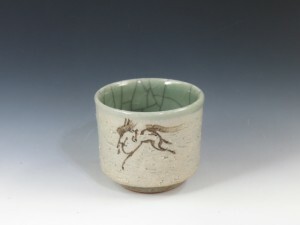 A “Suna (or harsh)” sake cup with a galloping horse and celadon cracle inside ! 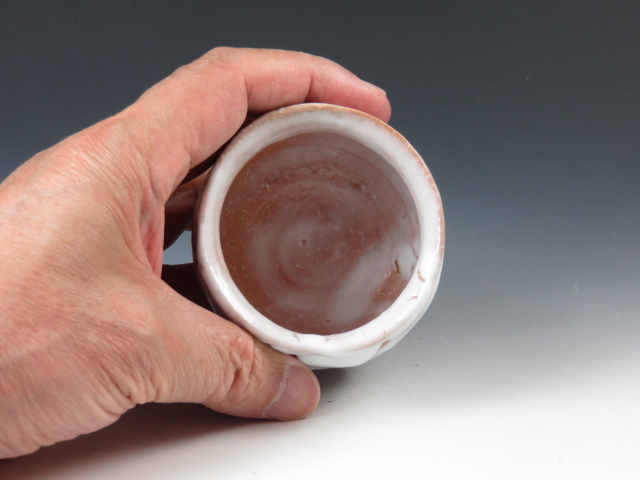 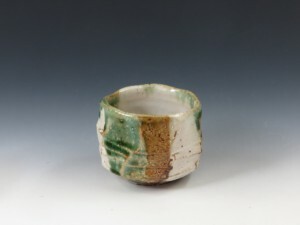 A typical white glazed sake cup formed with redish clay ! 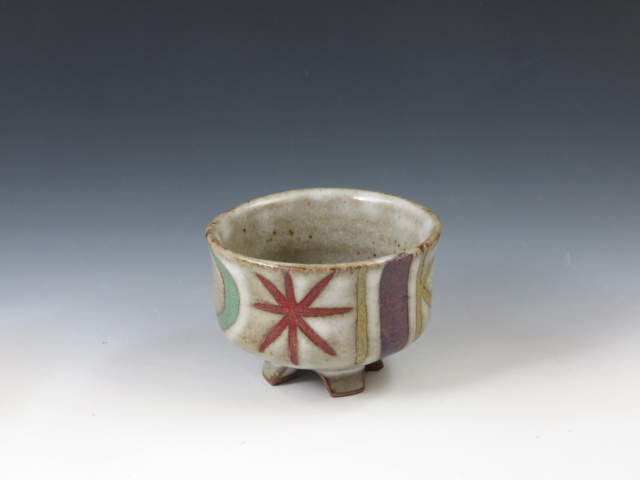 A sake cup with a spout with jumping marks in a small mortar style ! 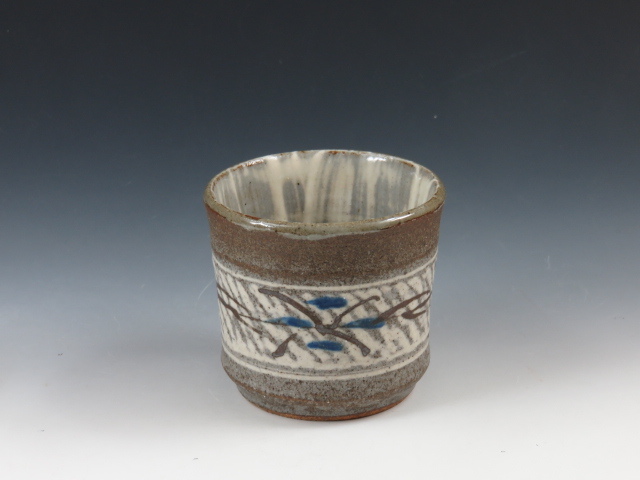 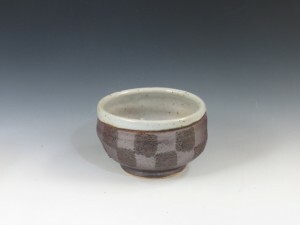 A iron-glazed sake cup with a “Ichimatsu Moyo”or checked pattern, created by an English potter !